LOS ANGELES (July 11, 2017) The all-action fighters participating on the stacked tripleheader this Saturday, July 15 have wrapped up camp and begin their journey to Los Angeles for their championship bouts at The “Fabulous” Forum. 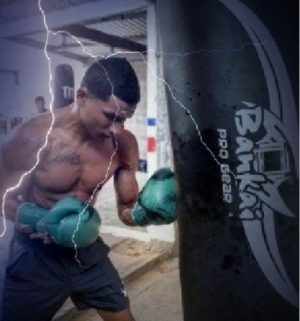 The night will feature the rugged Miguel “El Alacran” Berchelt (31-1, 28 KOs) defending his hard-earned WBC Super Featherweight belt against Takashi Miura (31-3-2, 24 KOs) in a scheduled 12-round main event championship bout. Serving as chief support in the co-main event, Panamanian super-star and newly signed Golden Boy Promotions fighter Jezreel “El Invisible” Corrales (21-1, 8 KOs) will make his U.S. debut against Robinson “Robin Hood” Castellanos (24-12, 14 KOs) in a 12-round super featherweight bout for Corrales’s WBA Super World title. 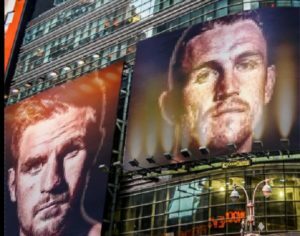 Opening up the HBO telecast, current two-time WBC International light heavyweight Champion Joe Smith, Jr. (23-1, 19 KOs) will put his belt on the line in a 12-round fight against Miami’s Sullivan Barrera (19-1, 14 KOs). 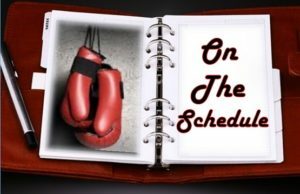 The action will be televised on HBO Boxing After Dark® beginning at 9:50 p.m. EDT/PDT.